Fibers of Kalamazoo carries many types of ice melter to reduce and prevent ice formation in any temperature on your sidewalks and surfaces. 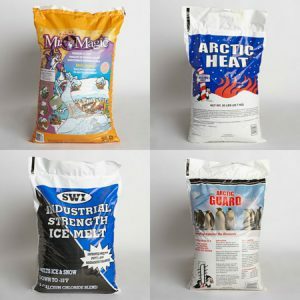 By the bag or skid, we carry calcium blends, potassium, and rock salt from manufacturers like Peladow. Keep your tenants, employees, clients, and the public safe with ice melter from Fibers of Kalamazoo! In need of additional supplies to keep your facility in tip-top shape? We also carry absorbents, rags, and other janitorial products! Don’t forget to check out our selection of gloves and other safety equipment. Fill out the form below or contact us today for more information. 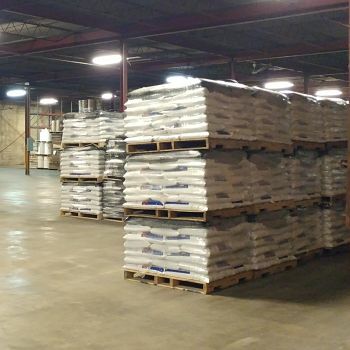 Our knowledgeable sales staff is eager to find the best ice melter and safety products for your organization!